These days I have a fair amount of short trips for work. They last about 4-5 days and require some formal and casual clothes options. 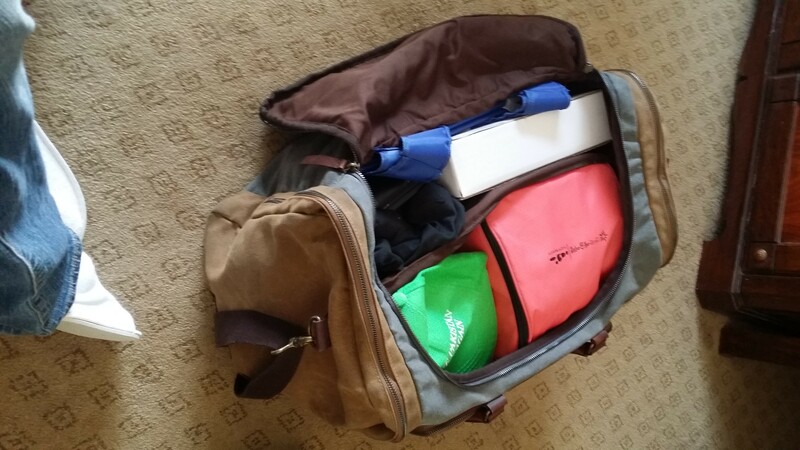 Recently, I’ve started using a Builford Weekend Duffle Bag for these trips. 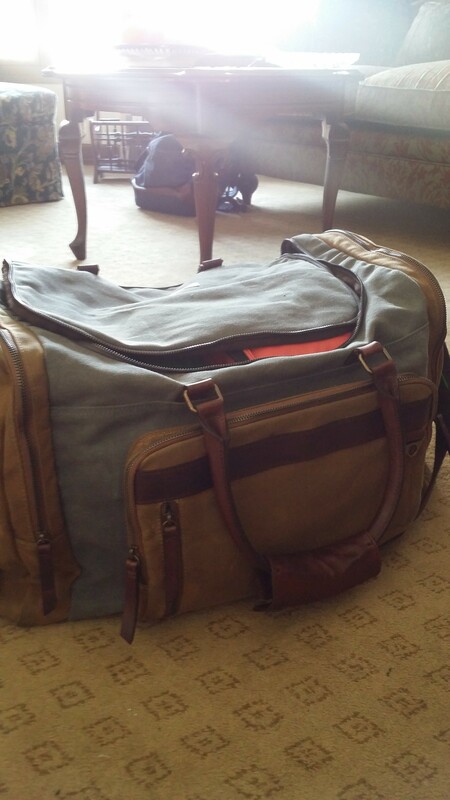 The Builford duffle bag is quickly becoming my go to bag for trips for a few reasons. It’s quite spacious, with a large interior compartment, two large end pockets, and a front pocket. The inner compartment comes with a removable divider, which helps me organize my things. It’s small enough to carry on, but also I don’t worry if I have to check it. I know the waxed canvas is durable enough to handle it. Of course, carrying bags is heavy. Rolling suitcases might be easier to bring, but I don’t own one small enough. 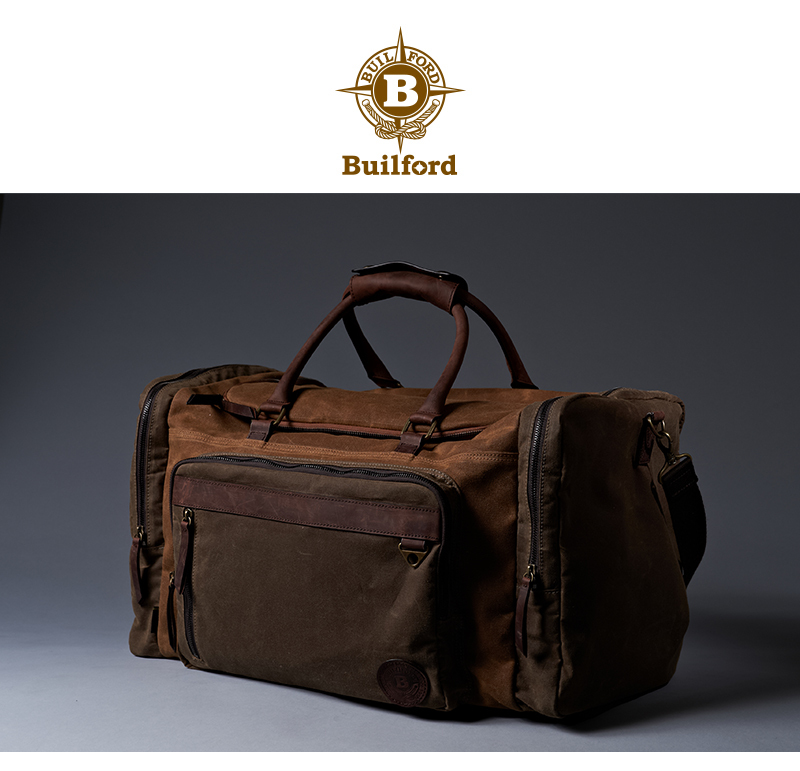 Builford has made their duffle bag as easy to carry as possible. There’s an adjustable shoulder strap with padding and two large leather handles that can snap closed together. They’re long enough to carry on your shoulder if you choose. Generally I like the waxed canvas as a material, especially for its durability. I don’t worry about misusing or having to replace the bag someday. I don’t worry about loose wheels or broken handles. I’ve used Builford bags before, and I know they last. The Duffle bag is no exception. The duffle shown here is the Builford Weekend Duffle Bag. They also have a more standard duffle which is a bit smaller. I like the weekend duffle because of the extra pockets but I’m sure the standard version is just as good if I would need to travel lighter. Of course, I need a backpack too, for electronics and books– so I pair it with a Builford Classic Backpack. I know the brand is reliable, so I stick with it! You can find these models and more at the website at www.builford.com. Happy traveling! 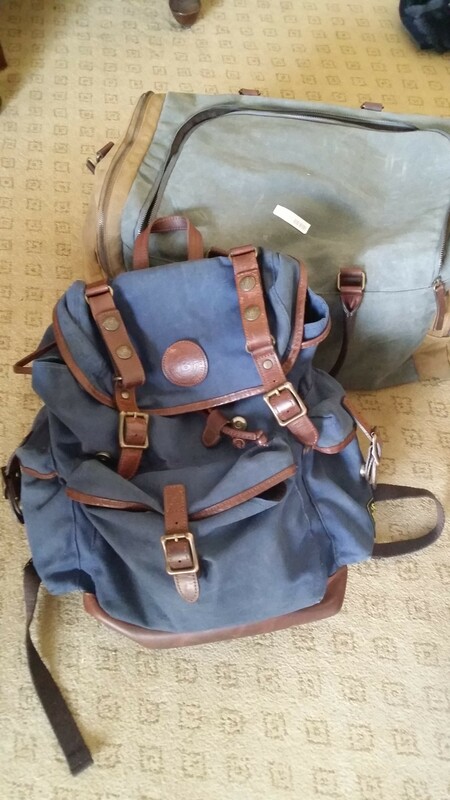 Share the post "Going Out of Town With a Waxed Canvas Duffle Bag"
Posted in Blog and tagged builford, Builford Duffle Bag, builford weekend duffle bag, duffle bags, short travel bags, travel bags, travel duffle bag, waxed canvas duffle bag. Bookmark the permalink.